There are three things that people will die for -- their faith, their freedom, and their family. This volume focuses on all three, including the interactions among them, in the Western tradition and today. 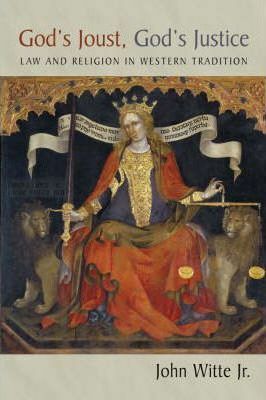 Retrieving and reconstructing a wealth of material from the earliest Hebrew and Greek texts of the West to the latest machinations of the Supreme Court, John Witte explores the legal and theological foundations of authority and liberty, equality and dignity, rights and duties, marriage and family, crime and punishment, and similar topics. "Gods Joust, Gods Justice" is a lucid scholarly introduction to the burgeoning field of law and religion and a learned historical inquiry into the weightier matters of the law.